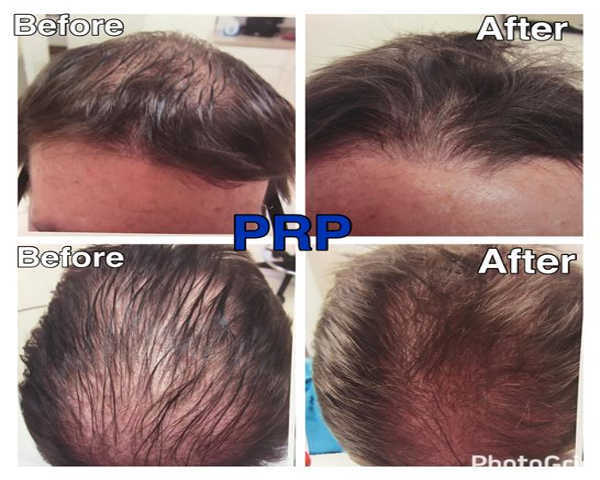 Virginia Surgical Center uses PRP therapy as a hair loss treatment in Virginia, at each of our three in-state facilities. PRP stands for platelet-rich plasma and is a substance that is becoming increasingly more popular for treatments in many different areas in medicine. Although the science behind the way it works is not yet fully understood, the basic idea of it is actually fairly easy to follow. We are happy to share some information with you about PRP therapy here, but feel free to come in for a consultation where we can explain the entire process and treatment in greater detail, as well as answer any questions you may have. PRP is a substance that is made from a person’s own blood, which is then manipulated in a lab and injected (or otherwise put back into that person’s body) as part of a treatment technique. PRP then stimulates the body’s natural healing forces. 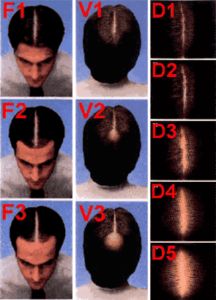 At Virginia Surgical Center, we use this therapy to treat hair loss by injecting the PRP into the scalp area. What Does PRP Consist Of? So, what exactly is PRP made up of? Basically, it is a highly concentrated mixture of platelets. Platelets are one of the main components of blood, and they contain certain types of proteins that are referred to as “growth factors.” The main reason PRP has become popular is that these growth factors are substances that are also involved in the body’s healing process, along with the fact that they stimulate stem cells. Stem cells are found throughout the entire body and also play a key role in repairing damaged tissue. Since the PRP treatment uses the patient’s blood, there is little risk involved in terms of serious side effects—although they can never be completely ruled out. However, because of the fact that the treatment is actually from the patient’s body, the risks are minimal, and there is no risk of an allergic reaction or transmissible infection. We feel confident about the benefits of PRP therapy and we highly recommend it for many patients, so long as they qualify for the treatment. PRP injections are simple office-based procedures. The entire process, including the blood sample processing and the completion of the injections, will take approximately 60 minutes. Along with the injections of the PRP, after the scalp has been thoroughly numbed with local anesthetic, your physician will use a small needling device on your scalp for stimulation of the wound healing process. For proper stimulation of the hair follicles and hair growth, it is advised to initially have three PRP injections to the dormant hairs of the scalp. Each series of injections separated by a two-month period. Results are usually evaluated nine months after the first injections. Many patients elect to have booster injections yearly. Are You a Candidate for PRP? The best candidates for PRP injections for hair loss are usually patients, typically women, who are in the initial years of hair loss. 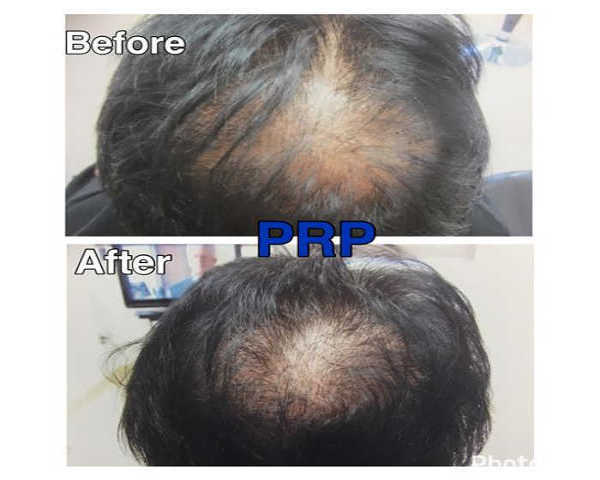 Those patients who have experienced advanced hair loss for many years may not obtain a significant result with PRP injections alone. In these cases, and for patients who may not want a hair transplant procedure, there remains the option of combining the PRP injections with concentrated stem cells. Please contact us for further evaluation to see if this procedure is right for you. Has Hair Loss Increased in the Last Year? When would you like to schedule your procedure? 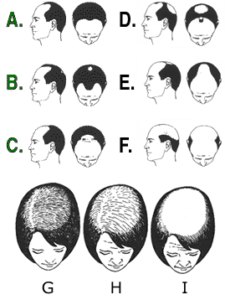 Tell us more about your hair loss and areas of concern?